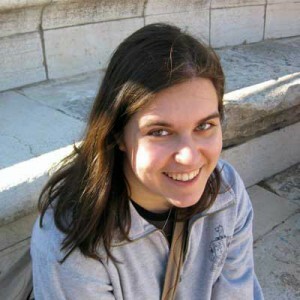 Born and raised in St. Louis, Missouri, Jenny moved to New York City to attend Barnard College. She studies Environmental Sciences and Religion, with a focus in Islam. A religious observant Jew and the daughter of Reform Rabbi, Jenny is very passionate about pluralism and diversity within and among different religious groups. She has traveled extensively throughout the Middle East, and is loves studying and living its different histories and cultures. 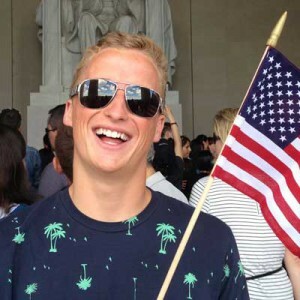 James Stewart is a third year Political Science major at the University of California, Berkeley. His research focusses primarily on the Middle East, specifically governmental transitions, political tribalism, and migrant labor forces. After graduation, James will seek a law degree in order to pursue an interest in international business law and contract negotiation. Hi! My name is Fahmida and I am from Philadelphia, PA. I am currently a junior at the University of Pennsylvania studying Biology and Near Eastern Languages and Civilizations (NELC). Although I am passionate about the sciences and plan on going to medical school one day, I am also very passionate about the Middle East, especially the culture and history of the region. I originally applied for the Ibrahim Dialogue Program in hopes of learning more about the region by immersing myself in it. The narratives I heard on this trip were truly eye-opening and the relationships I made were very meaningful. They helped shape the way I now view conflicts and interfaith relations in the region. My biggest takeaway from the trip is that dialogue is incredibly important. Since returning from the Middle East, I have begun to apply this practice more to my daily life. I have attended several Shabbat dinners and even took an informal Judaism 101 course. I have engaged in conversations and listened to speakers who views I may not necessarily share. I, along with a few other students, also spoke on a panel at an Innovation Exchange Conference at Queens College where we shared our most impactful moments of the trip. The best part about these moments is that by the end I would always meet someone new and engage in a conversation with them about this trip, which made them curious and compelled to learn more about the Middle East. Yvette’s interest in the Middle East stems from her Jewish Syrian heritage. Born and raised in Brooklyn, she has been surrounded by diverse cultures all of her life.The Ibrahim Program has only heightened her interests in interfaith work and the Middle East. 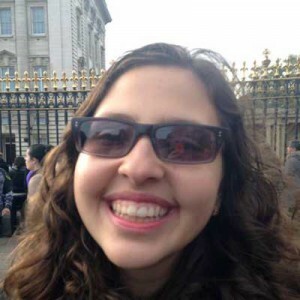 After Yvette returned from the fellowship, she shipped off to Europe as an exchange student in London to further her studies on international politics. Returning home in the Spring of her Senior year, Yvette intends to organize multicultural events to spread what she has learned in the past 6 month. Additionally, she will publish her thesis on political identity and alternative pedagogues- whether steadfast beliefs will change after immersive education. Upon graduation, Yvette aspires to work in public policy, while changing public opinion through multimedia. In her spare time, Yvette enjoys reading and graphic design. She tries not to do this often, but once she skied down a mountain with one ski. 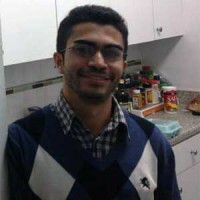 Ahmed was born and raised in the quaint city of Charleston, West Virginia. After graduating as the valedictorian from George Washington High School, he moved to Philadelphia in order to pursue his undergraduate degree. 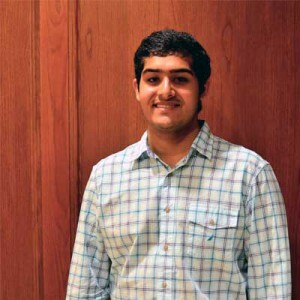 As a senior, Ahmed has worked with the Penn Muslim Students Association as its treasurer and has distributed funds from the Office of the Chaplain to interfaith events across campus as an elected Faith Fund chair. Additionally, he volunteers his time at local hospices with the Student Hospice Organization of Penn while conducting neurological research at the Perelman School of Medicine. He hopes to promote interfaith dialogue and peace all over the world and to transform neurodegenerative research by making discoveries in peripheral neuropathy. 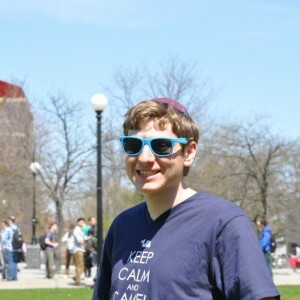 Daniel Kaplan is a junior at Queens College studying Neuroscience and Chemistry. Growing up, he spent every summer with his family on a settlement in the West Bank. 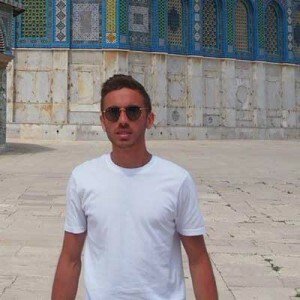 His passion for Israel has interested him in the broader culture, history, and politics of the Middle East. Back in school Daniel is an ambassador for the Center for Ethnic, Racial and Religious Understanding and the Public Relations coordinator for the QC Hillel.He enjoys organizing interfaith dialogues with the Hillel and the Muslim Student Association, showcasing what different cultures and religions have to offer. Sophomore at Virginia Tech, double majoring in Management and Finance with a minor in Philosophy. Spent my freshmen year at St. Edward’s University in Austin, Texas. Co-founded a student-led organization that aims to educate community members about various religions on campus, while studying the effects of religion on the cultures of numerous countries around the globe. So far, I am a member of the Virginia Tech Club Tennis Team competing with dozens of universities in the east coast, earning 3rd place out of 15 in my first tournament at College of William and Mary. Carly was born and raised in Columbia, Maryland and is now a senior. Her strong interest in Middle Eastern political, cultural, and economic affairs has driven her pursuit of proficiency in the Arabic language and her participation in regionally-focused academic programs such as the National Council on U.S.-Arab Relations’ Fellowship. Since her freshman year, Carly has also been involved in J Street U, a national student organization that advocates for a peaceful and mutually agreed-upon two-state solution between Israelis and Palestinians. In her free time, she enjoys playing tennis and being a die-hard fan of the Baltimore Ravens. Carly now is spending the school year in Amman, Jordan. She is studying Arabic and political science. She hopes to one-day work in the region. 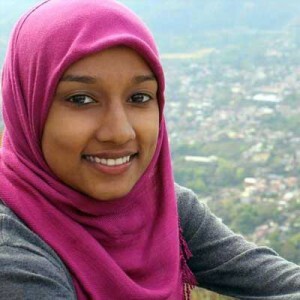 Azzah Ahmed a recent alumnus of the IQC-ME Program has just begun a career in the field of international development as a Project Assistant for Sheladia Associates Inc. a Washington D.C. based multi-disciplinary international consulting firm. 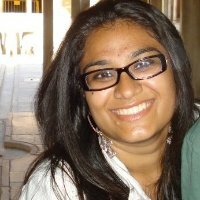 She graduated in 2014 from Syracuse University with a dual degree in International Relations and Middle Eastern Studies, and after graduation had the opportunity to learn about the Middle East, specifically in Israel/Palestine and the Gulf through an experiential dimension with the IQC-ME Program. Previously to participating in the program, Azzah had worked in Cairo, Egypt at a women’s NGO and had studied for a semester in Istanbul, Turkey. Familiar to the wold of traveling in the Middle East she gained a new perspective and learned an immeasurable amount as a result of the IQC-ME Program. Jemal, 21 years old is Afghan-American and a history major. Many of his family members came into the United States as refugees from the Soviet Invasion of Afghanistan in 1976. Something interesting about him is that his father is Sunni and his mother is Shi’ a. Also, when his parents were spelling his name, they spelled it wrong. In Arabic his name is spelled with the letters gem, meem and lam, which equals Jamal, but his name got lost in translation so his name in English is spelled Jemal. Jemal has spoken about his experiences with his family members in New York and Virginia. His experience has helped open the eyes of many Afghans to help them see the Middle East in a new light, particularly those who work in the government. Jemal has also spoke of religious tolerance at his local mosque and other mosques, using his experiences from the Ibrahim Leadership & Dialogue program with Queens College.